The BLCCJ is pleased to present the newest edition of the traditional European Joint Chamber Networking Party, led by the French Chamber of Commerce. Attracting a crowd of more than 200 guests every year, it is the must-attend event for networking with business people from all over Europe. The one-of-a-kind event will be held Thursday, October 26, 2017 at the MIXX Bar & Lounge, offering a dynamic setting for networking with a stunning view of Tokyo’s skyscrapers from the 36th floor of the ANA Intercontinental Hotel. An evening of networking with fine food and free-flow wine courtesy of Baron Philippe de Rothschild awaits you. 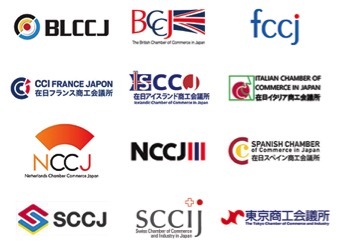 You will be able to meet members of the Belgian-Luxembourg, British, Dutch, Finnish, French, Icelandic, Italian, Norwegian, Spanish, Swedish, Swiss Chambers as well as the Tokyo Chamber and there are still more to come. Seats for BLCCJ are limited to 10, first-come first-serve! Wait for a confirmation email before paying by bank transfer. The deadline for bank payment is October 16, 18:00. For any questions, please contact the BLCCJ office.